Farmers markets are just bursting with colours from berries, apples, apricots, currants, peaches, and plums. Now is the time to be eating fresh and local fruit! This recipe celebrates the sweet and sour flavours of the gorgeous plum. There are so many varieties in different colours and different sizes; it would be shame not to embrace them, both raw and in desserts. 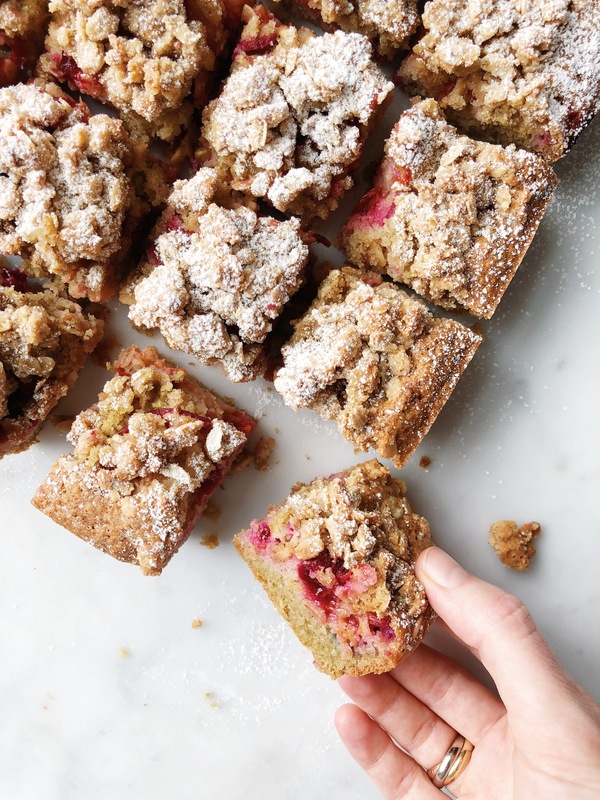 My recipe for Plum Crumb Cake is a healthier take on a classic streusel cake using nutritious flours such as almond and oat. It’s wholesome enough it can be enjoyed for breakfast as well as dessert. My favourite parts are the pink gooey plum bits. Want more gluten-free dessert recipes? explore all of my desserts here. Preheat oven to 350F. Grease a 8x8 baking pan with coconut oil and line two sides with parchment paper, with enough overhand for handles. Begin the crumble. Whisk together all of the crumble ingredients except for the coconut oil. Pour over the coconut oil and stir until crumbs begin to form. Set aside. In a large bowl, whisk together the eggs, coconut oil, maple syrup, and vanilla extract. In a medium bowl whisk together the dry ingredients except for icing sugar. Add the dry mixture to the wet and mix until combined. Pour the batter into the baking pan. 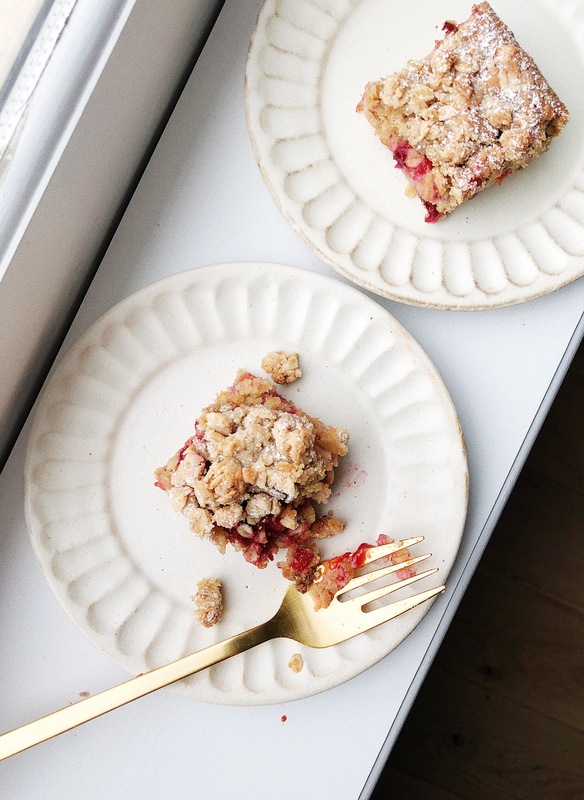 Arrange plum slices on top and sprinkle with crumble. Bake in preheated oven for 40 minutes. Allow to cake to cool pan for 10 minutes before removing. Cut into 16 squares and serve warm or at room temperature. Feel free to sift icing sugar on top. *Make your own oat flour by blending rolled oats in a high-speed blender. This entry was posted in Dessert and tagged almond flour, cake, dessert, farmers market, gf baking, gluten-free, local, oat flour, plums, summer. Bookmark the permalink.